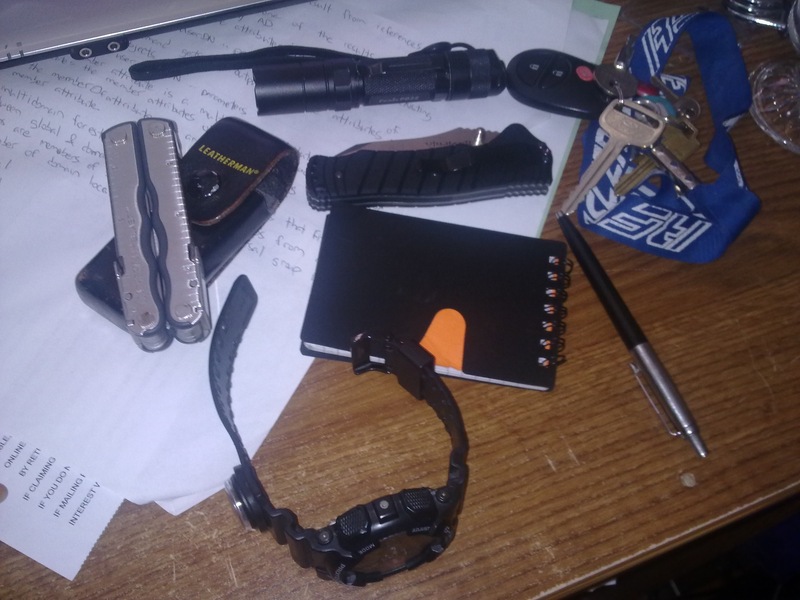 Very basic since there I there is no CCW in Canada, the only defensive "weapon" I have would be the flash light, knife, multi-tool, and the pen. Currently in Thailand, which explains the lack of firearm, but I always carry a M&P Shield w/ extra mags when in the US. 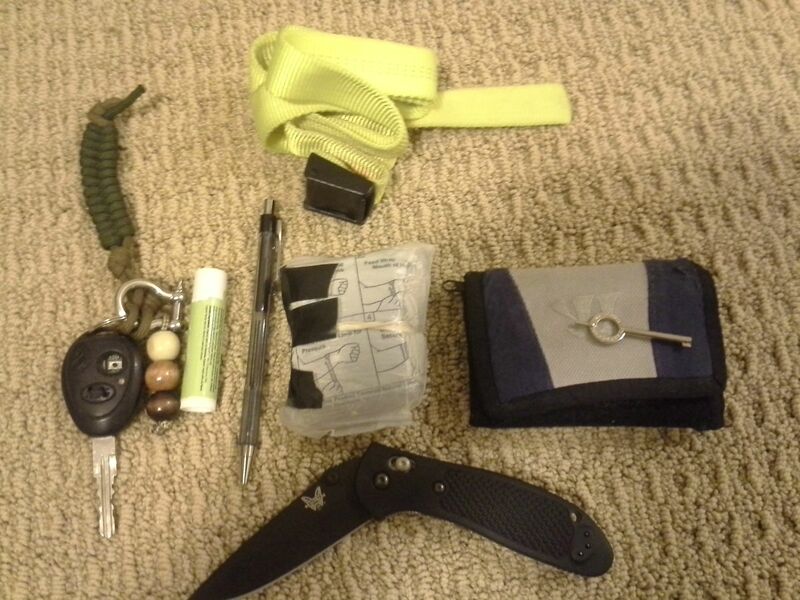 1* Titanium Dog Tag Knife on paracord bracelet. Blackhawk Folder knife of the day. Good Luck everyone, and thanks to ITS Tactical for the contest. 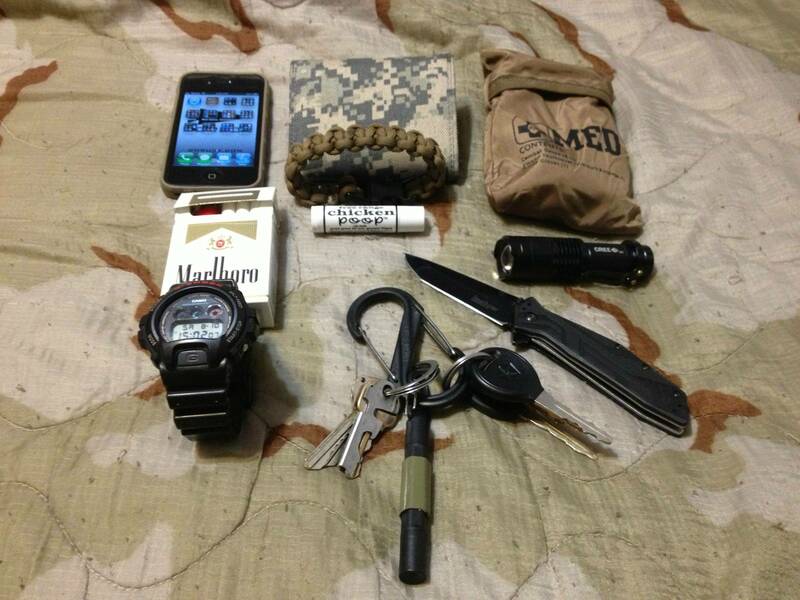 Cell phone / Camera / Calendar etc. I've included the jacket because I carry it with me every day between the car and the shop when I go to work. When it comes to summers in NC, every day is at least a 30% chance of thunderstorms, and I've learned the hard way that a downpour can occur in just a matter of minutes. Edited by Psybain, 11 August 2013 - 10:07 AM. 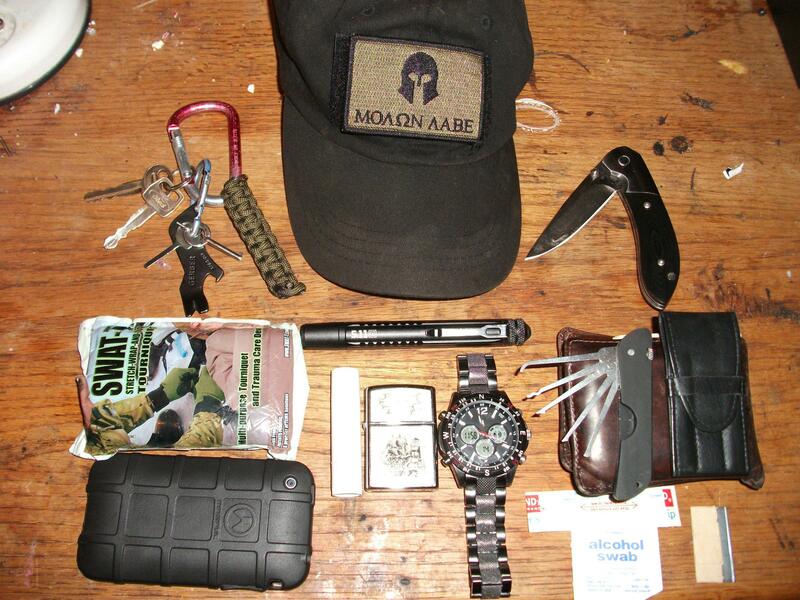 Timex analog watch, mounted on "The Band"
Jones Tactical EDC Cobra belt. Everything is carried where you would expect. The LCP is tucked in the the appendix area. Edited by mikejulietpapa, 11 August 2013 - 04:15 PM. Merged photo and text post into one. Man, I really want one of those key ports! how do you like it? One more shot for the heck of it. 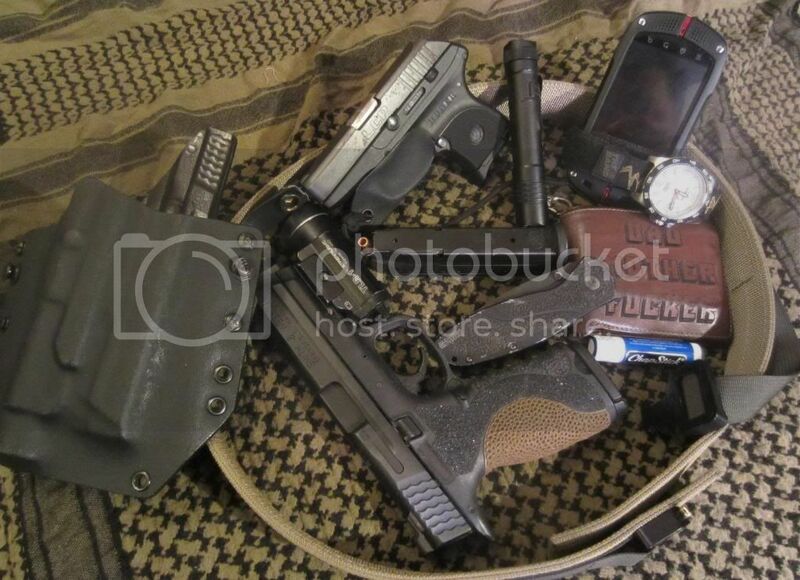 Standard recon kit. Given what I do, I need to remain light while still be able to get thru a locked door, observe a building and take notes. 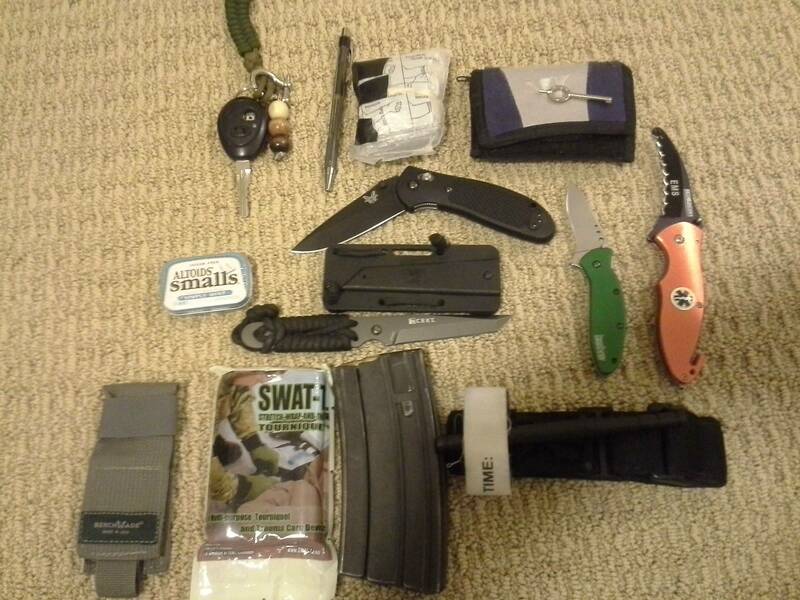 I'm glad I'm not the only one who carries a tourniquet with me! 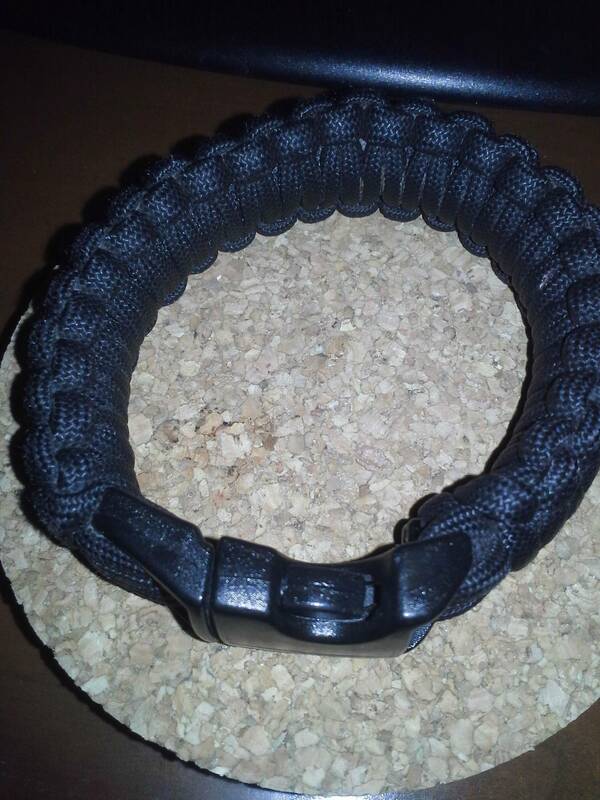 Survival Straps black 550 paracord bracelet. 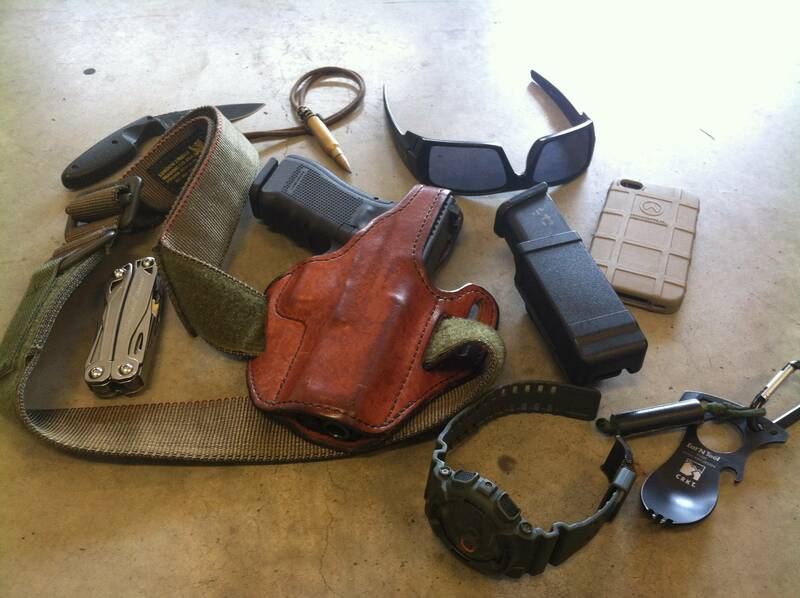 Glock 21, LBT riggers belt, K-Bar TDI large, IPhone 4, leatherman wingman, CRKT eatin tool, custom John Gage necklace, Oakley gas cans, G-SHOCK 3263, and gorilla tape rig.